Rachel grew up in Oregon and attended college in her home state, earning a degree in International Studies before beginning a series of explorations of many regions of the world, living in several different countries. 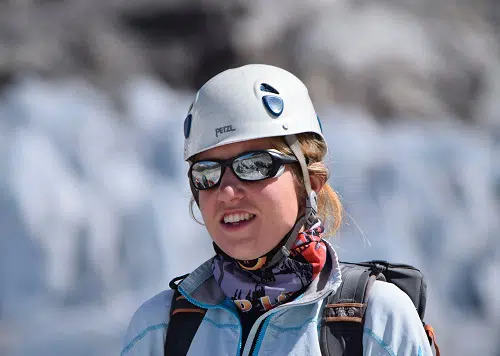 Since 2013 she has called La Paz, Bolivia home, guiding in the Cordillera Real of the Andes and exploring the region’s remote glaciated peaks and granite walls. She speaks fluent Spanish. Despite the adventure found in the Andes, she always looks forward to returning to the forests and mountains of the Pacific Northwest.